During the warmer months, everyone wants to be outside. Picture your family splashing in the swimming pool by day, yourself and your spouse enjoying drinks in the hot tub by night, and patio parties that leave your neighbors and friends drooling with envy. 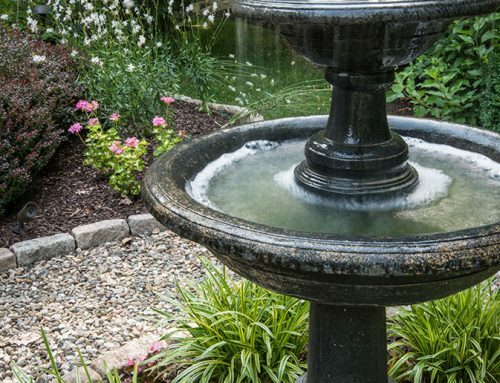 The perfect selection of flowers, trees, shrubs and landscaping accents (perhaps a boulder here, a koi pond over there…) create an amazing outdoor setting to make you feel as though you’re on vacation anytime you step outside your home. 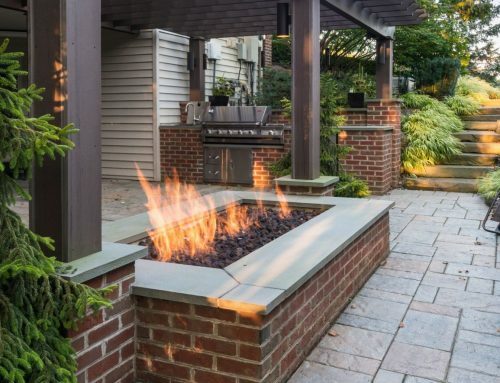 With a little creativity and some help from an experienced and knowledgeable landscaping contractor, you can create an incredible outside living space to suit all of your family’s needs, and be the Jones’ everyone wants to keep up with. You’ve surely heard of curb appeal. Open your mind to the dramatic possibilities of what you can do to the front of your home to really make it stand out from the rest of the homes on the block. Fine quality evergreen shrubs and trees can give your home character while colorful flowering shrubs and perennials offer a taste of your personality. Work with a talented landscaper to discover what plantings will do well in your area based on climate and soil composition. 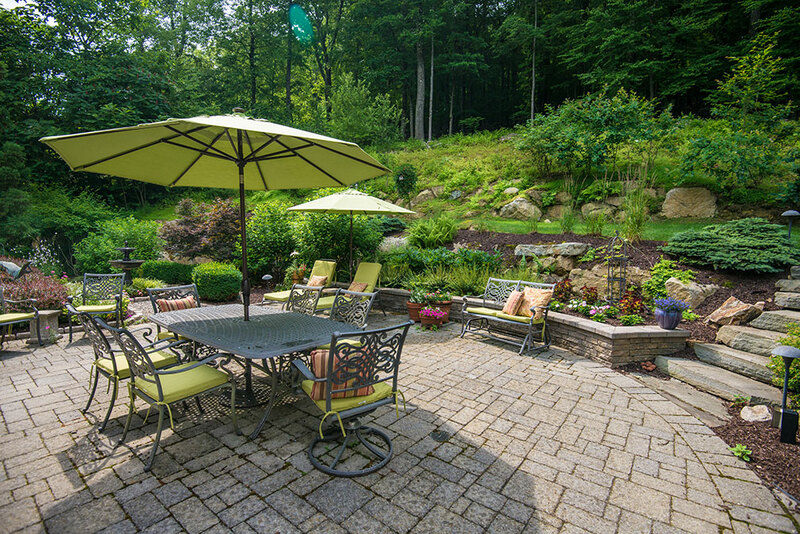 A landscaping pro will be able to visualize just the right locations for your favorite shrubs, trees and flowers. You should receive a landscape design diagram that brings together the plants you love and new ones you’ve discovered, plotted in the best possible locations visually and functionally fitting with your existing structures and anything new you choose to add. These professional recommendations blended with your own personal preferences can create a stunning expression of scenery surrounding your home. Some of the most beautifully landscaped areas provide a veil of privacy surrounded by stunning foliage and flowers, flanked by ponds or water gardens, offering the perfect hidden nook to snuggle in with a book or a glass of wine. If you plan to include a spa area in your landscaping layout, some nice foliage around it will offer a more personal retreat from the world around you. You can find a cozy spot between two trees for your hammock and a winding path of stepping stones amid brilliant blossoms to invite a peaceful walk in the spring or summer. Think swimming pool, a fire pit for all seasons, a giant paver chess board, a couple holes of mini golf – whatever makes your heart sing. Leave enough open space for the kids to run around to their hearts’ content, or maybe kick things up a notch, setting aside space for a swing set and a clubhouse or tree house. If you can dream it, you can create it. Ask your kids for their opinions too – you may never have considered adding a sand volleyball court to your yard, but it could be just the right addition for all your summer barbecues! All of the above landscaping concepts weave their way beautifully into your party settings. Complete the perfect environment by adding an outdoor kitchen with a stainless steel grill or wood-fired oven. Add a stovetop, mini fridge and anything else you find essential to your outdoor cooking ideals. Add classy cabinets for storage, a sink for ease of cooking and cleanup, and a built-in ice bucket for chilling an endless supply of drinks. Work with your talented landscaper to consider all angles and to determine the best location based on the sun’s position throughout the day. Factor in a lovely al fresco dining area on your patio, and consider a pergola or a grape arbor, which can provide nice shade and additional possibilities for landscaping design. Don’t forget your very own patio bar to keep all your guests from getting thirsty. Consider outdoor speakers to make the most of your parties with music that almost seems like the band’s there with you. Designing your home’s landscaping is an enjoyable project that can take on any size or scope, depending on your goals, individual needs and budget. If you look at the big picture and plan your landscaping architecture to include everything you and your family might need for the foreseeable future, you can truly maximize on the pleasure you will all derive from the different features you include in your plans.